Established in 1883 at the foothills of The Andes in Mendoza, Trapiche (pronounced: tra-peach-chay) is one of Argentina’s oldest wineries and its largest exported premium brand with availability in more than 80 countries. Trapiche maintains one of the country’s most diverse portfolio of wines ― including a range of award-winning Malbecs ― that speaks to the viticultural history of the region. 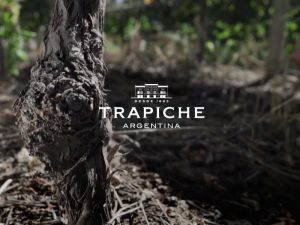 Led by winemaker Daniel Pi, Trapiche sources premium grapes from Argentina’s best winegrowing sites, including more than 2,400 acres of proprietary vineyards and a stable of more than 200 independent growers. Driven by quality, innovation and diversity, Pi and his team utilize winemaking practices that coax the finest and truest expressions from each varietal.